We have total 11 persons of my group staying this traditional house. The location of this house is super convenient and has the most amazing view! Right in front of the blue dome and 1 min walk from the famous sunset view point. And 5 mins walk from the bus stop. Zak is a super nice host. He is very supportive for our group during our staying. I would definitely recommend this place to anyone looking for an amazing view, convenient location and good value for the money! Zak is such an awesome host. The villa is centrally located and not even once we felt unsafe., He even brought us muffins every morning and they were so good. It’s really excellent location exactly same as reviews on website. The owner is also super nice who I met around the world wide trip. We’re really appreciated for Zak’s hard working. I’ll strongly recommend my friends staying here. My husband and I will definitely visit the Zoe traditional house again next time. The location was great along with some beautiful views. The best host ever. Zak was simply amazing. Warm, hospitable and very helpful with recommendations. Arranged transfers and welcomed us with wine and beers!! Also arranged a special cake for my mum's birthday. The location is outstanding and very convenient, and the sit-out has a view to die for. Highly recommended. This was a once-in-lifetime stay! 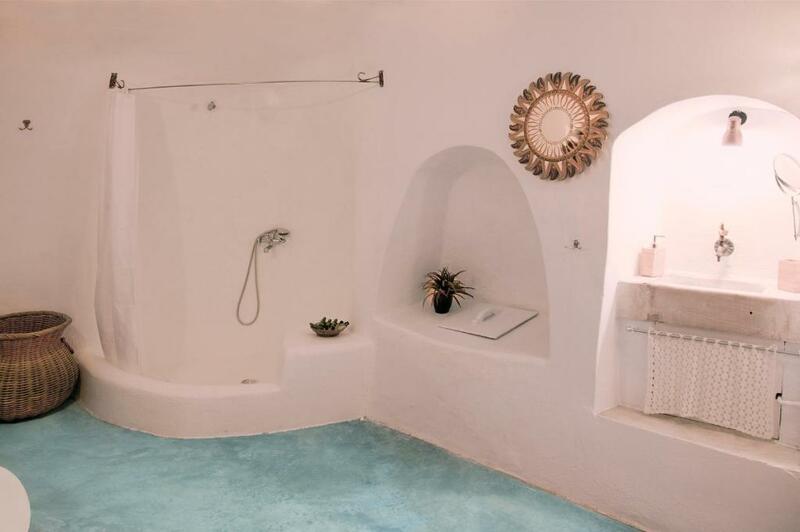 The location is THE spot to stay in Oia. The view from our deck looked straight onto the beautiful blue and white churches that make Santorini famous! Zak and his assistant were the perfect hosts! We felt like welcomed family from the minute we met them. They attended to every need and even arranged for our family to take a catamaran cruise (highly recommended). Zak brought homemade breads and cakes for us every morning from his wife and ensured we were very well taken care of. We can’t recommend high enough! We will be back one day! Meeting the property owner Zak was one of the highlights of our trip. He was an example of the wonderful Greek hospitality here. His dining suggestions were excellent! The property itself is in an ideal location. It looks EXACTLY like pictures. Our room was romantic and the view was breathtaking- I actually cried when we left! The location is great and views are amazing from terrace. The host Zak is great and suggested great things to do while in Oia. He also helped us book the catamaran boat trip. Will surely recommend to others. Zak/owner was attentive, courteous. He checked in a couple of times a day. Each day he brought yummy homemade cake that his wife made. The view and the location was unparalleled. We will be going back and staying w Zak. Thank you!! 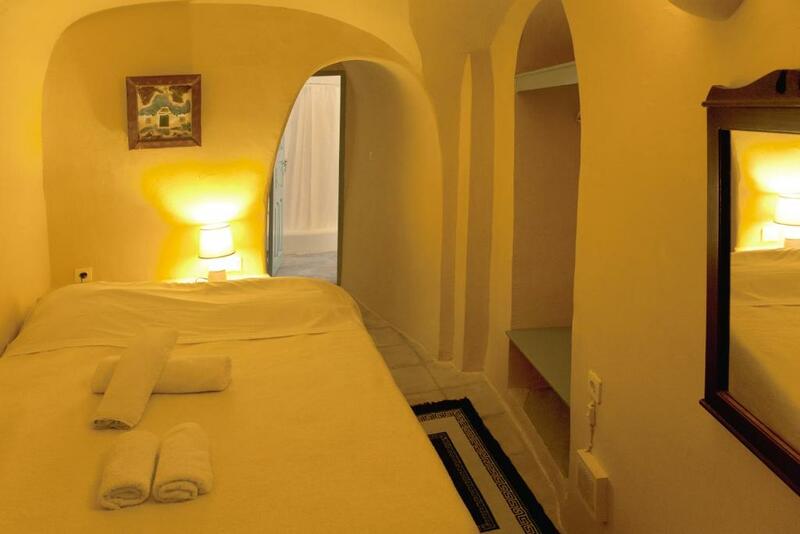 Lock in a great price for Zoe Aegeas – rated 9.7 by recent guests! One of our best sellers in Oia! Built into the rocks of Oia just 1,650 feet from Amoudi Beach, Zoe Aegeas offers split-level apartments with Aegean Sea view. Each air-conditioned unit provides a laptop with free Wi-Fi. Free parking is available on site. All Cycladic-style apartments have a well-equipped kitchenette with a fridge and cooking hobs, and a dining area. Featuring built-in beds and traditional furnishing, each accommodations includes an LCD TV and a DVD player. The cave-style bathroom is stocked with free toiletries and a hairdryer. Guests can enjoy refreshing drinks and cocktails at Zoe Aegeas' bar. Local taverns are located within walking distance from the property. The 24-hour desk can arrange car rentals and excursions to explore the island. Zoe Aegeas is located 5.6 mi from the lively Fira and 8.7 mi from the port. Santorini International Airport is around 11 mi away. Two-way transfer from the airport/port is provided at extra charge. 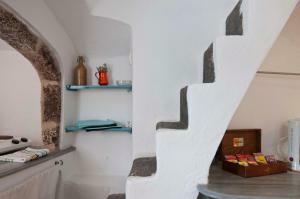 뀐 Located in the top-rated area in Oia, this property has an excellent location score of 10.0! 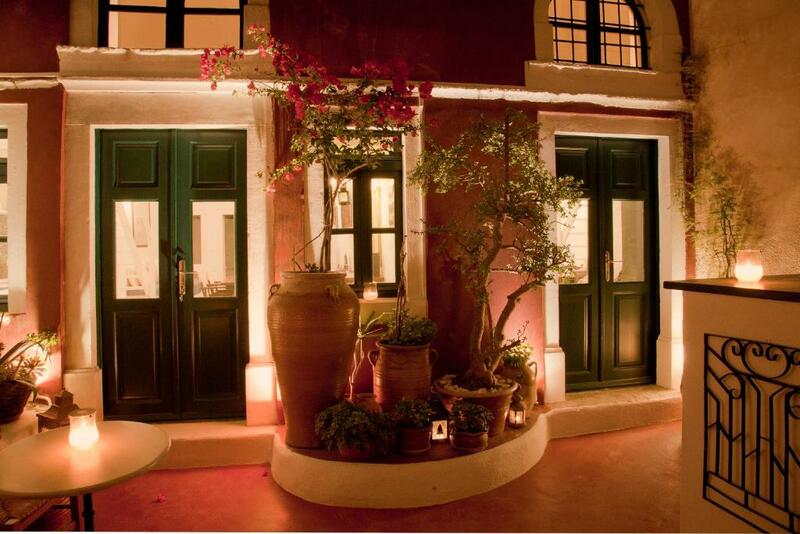 When would you like to stay at Zoe Aegeas? 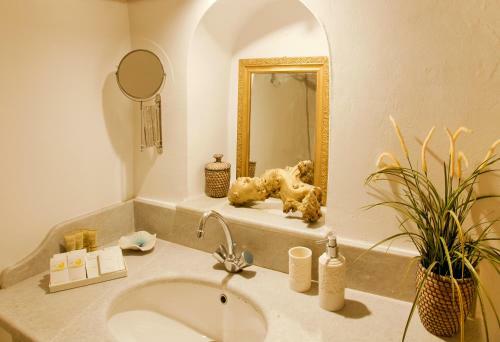 This spacious, Cycladic-style apartment has a balcony overlooking the Aegean Sea. Featuring built-in beds and traditional furnishing, it has a well-equipped kitchenette with fridge and stove, and a dining area. Perched on the cliff of the caldera, this cave-style suite offers spectacular views of the Aegean Sea and Thirasia Island from its 540-ft² terrace. 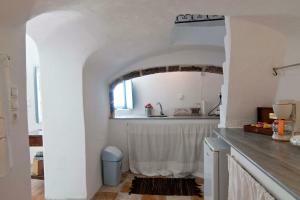 An arched wall separates the bedroom from the kitchenette and its traditional living/dining area. A flat-screen satellite TV, CD player, free Wi-Fi, library, books and DVDs are also included. Me? Happy to make your holidays unforgettable...happy to do what i do,running a beautiful bussiness meeting nice people in a very beautiful island...what else can i say? Lets enjoy our time..
Great location.one of the most beautiful villages in greece,thats what makes it more exciting,so many places to see..
House Rules Zoe Aegeas takes special requests – add in the next step! Zoe Aegeas accepts these cards and reserves the right to temporarily hold an amount prior to arrival. Location is fantastic and has a little balcony that oversees the sea, very nice view. Zak is a great host and gives good recommendations for dining and places to check out. The bathroom had a little smell but it wasn't too bad. Great hospitality, super arrangement for private tour and cruise trip with reasonable price. Super recommendation for sightseeing around island, and giving the best restaurant we never had in my life. Zoe house such as a traditional house in Oia, spent 4 nights in there, would definitely come back again and stay in Zoe house, the Owner Zak was so welcome and nice person, always give the best advices. Zak was super friendly and caring during our stay. The view from there too deck is amazing and the location is perfect for photos. Zac is a very nice careing man and it felt like we were at home.we will definitely choose to go back to his cave house next time again,we will recommend him to everyone. Zak, our host, was the host with the mostest. He was amazing! He organised transfers for us, had assistants to help us with our bags, brought us little treats and had the best local recommendations. It was extremely cold and windy which was not usual. The hot water was not working. The heater wasn’t working correctly either. With this said, the owner Zac did attend to all of our problems when we brought them to his attention. Zac was a great host and very helpful! Awesome place in Oia. Zak is one of the best hosts you will ever see. Beautiful views from terrace. Classy and lovely suite. The only downside was the concrete bed base which I banged my knee into a few times but was otherwise perfect! Zak was an absolutely wonderful host - Checking in and making sure we were okay and helping us with recommendations and bookings where needed. The guest house was beautiful and the view took our breath away. Would definitely recommend to anyone visiting Santorini for the first time. Also perfectly located, close to good food, shopping and views as well as public transport.